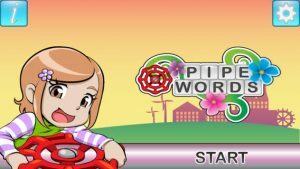 PipeWords iPhone Game Review: A Killer Word Game! PipeWords is an iPhone game developed by Dream Boy Studios. PipeWords may just be the greatest plumbing game to hit a gaming device since the original Mario games! 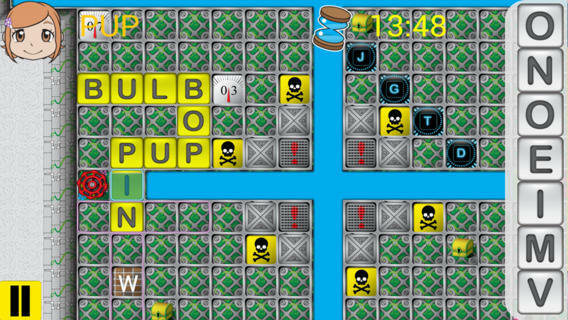 In this excellent word puzzle game, your goal is quite simple. You must solve a factory’s plumbing problem with the power of words. The “pipe words” allow you to bridge the gap between a faucet and a drain. Speed is a bit of a factor: the water is running, so you need to build words that are long, but also do so with a decent amount of speed. The music is a little bit over the top for my personal taste, but it is bubbly and quite energetic. It does suit the game well. One thing that annoyed me was that one of the words in the tutorial was spelled incorrectly. I also felt like the in-game dictionary might be a bit limited, based on some (fairly simple) words I tried to use and did not have recognized. However, the controls were well-calibrated, very easy to use, and pretty much 100 percent intuitive. Deleting a tile is a simple matter of a double tap, and the drag and drop interface works well here. I also thought that the tricks, traps, and time bombs employed here keep the game feeling fresh and exciting. What is it about games with plumbing in them? They do always seem to have bombs in them, don’t they? One aspect of this game that I found utterly fascinating is the fact that PipeWords has a custom interface for left-handed players. I’ve not ever seen something like this in another mobile game, and I think it’s a great feature! Overall, a really great game. A must-play title for any word game fan. 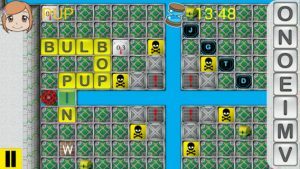 PipeWordsis compatible with iPhone, iPod touch, and iPad. Requires iOS 5.1 or later. This app is optimized for iPhone 5.